The medieval Castle at Laugharne is impressive. It was built in the 13th century by the de Brian family, probably on top of an earlier Norman ringwork castle. Take time to visit and walk through beautiful Victorian gardens. Take in the magnificent views on the foreshore, drop into the Dylan Thomas Boat House and call into Brown’s Hotel (one of Dylan’s famous watering holes) for some refreshment. You can go into the Castle and wander around on your own – it’s open daily (10 am to 5pm) until the end of October. Or join a tour on the Open Doors days and find out much more about the place. On September 19th and 20th these special tours will start at 11am, 1pm and 3pm. Dylan and Caitlin Thomas lived in the Boathouse from 1949 to 1953. Set on the beautiful Taf Estuary, the Boathouse is now a fascinating museum, containing memorabilia and much of the original furniture. Close to the house is the cliff-top garage that was Dylan’s writing shed, still furnished with his desk and writing materials. The Boathouse terrace has wonderful views of the Taf estuary and the Gower beyond. It’s a haven for egrets, lapwings, herons, oystercatchers, seals and otters with fishermen and cocklers continuing the ancient traditions. The tearoom provides a welcome break for visitors and walkers on the Wales Coast Path. There is also a furnished front parlour, an upstairs exhibition area showing a film, and a shop. The Boathouse is a ten minute walk from the centre of Laugharne along Dylan’s Walk, passing the Writing Shed, which can be seen from the pathway. 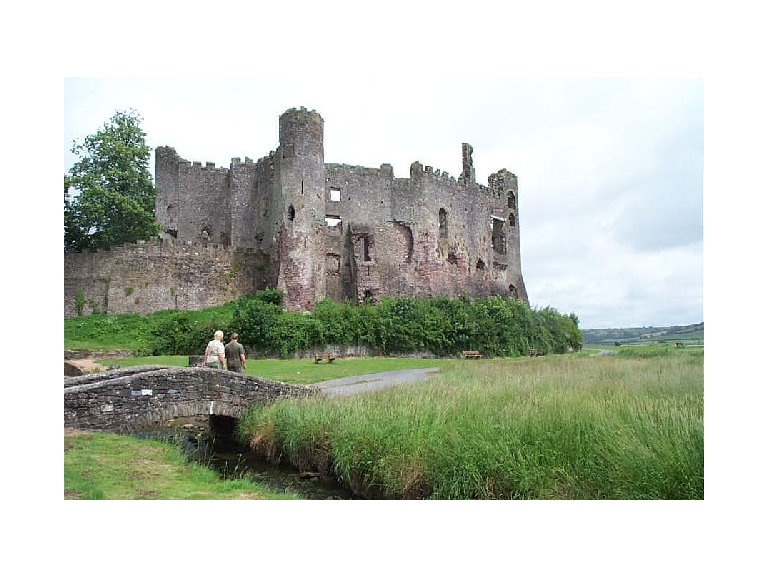 If you fancy a longer walk take the Dylan Thomas Birthday Walk, the setting for one of his best loved works, Poem in October, in which he describes a stroll around Laugharne on his 30th birthday. There are information boards at all the best viewpoints, which are full of information about Dylan’s life and work. If you do the walk on your own birthday (and can prove it), you can claim complimentary goodies at several local cafes and pubs. A visit to Laugharne is not complete without a visit to Brown’s Hotel, where Dylan Thomas spent many afternoons in the bar, drinking his pint, writing, reading the papers, and bantering with his drinking companions. The hotel has been restored and is now a five-star boutique hotel. To find out more about ThebestofCarmarthenshire visit our website. If you would like to find out more about Laugharne Castle you can click here.